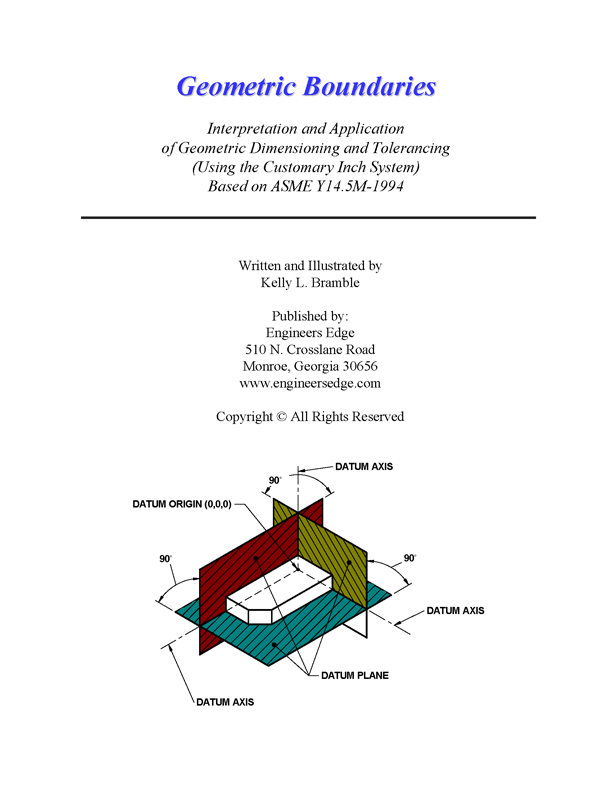 This invaluable reference and training book explains the symbology, interpretation and application of GD&T geometric dimensioning and tolerancing per. ASME Y14.5M-1994 using imperial units (inches). This book is perfect for individuals new and experienced in understanding and applying the principles of geometric tolerance product specification. It shows how to break down the language of geometric product definition into a series of steps that consists of the significant questions and answers at any point in the product definition, manufacturing and tolerance verification. Each module is designed to elicit a response based on functionality, cost effectiveness, producibility, ease of inspection, and many other factors that must be considered to optimize the dimensioning and tolerancing method.